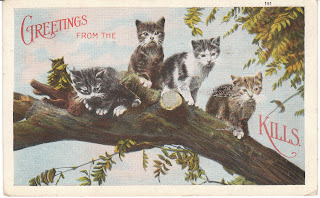 I love vintage cat postcards, and wanted to share some pictures with you! There are some real cuties here. They are in my store at Birdhouse Books. 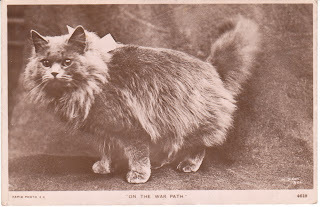 1909 RPPC - photo postcard. Captioned: Cat on the Warpath. 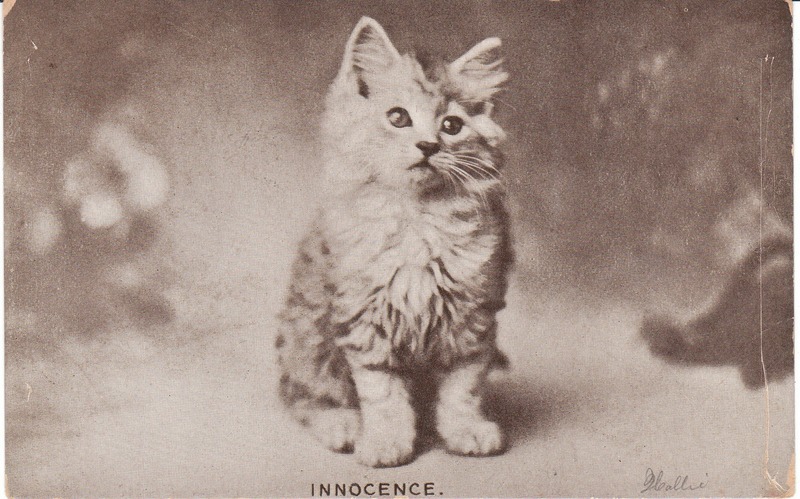 1906 signed cat photo postcard captioned Innocence. 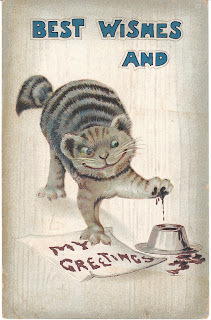 1911 Tabby Cat illustration. 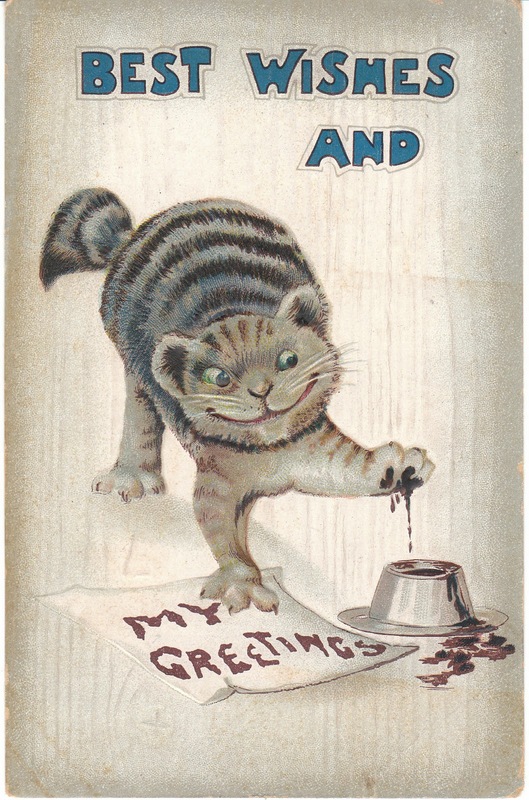 The cat puts his paw in an inkwell in order to send a message. Again, these great cat cards (and more!) are located in my store at Birdhouse Books.